Craig y Don Community Centre, 7.20pm tea and coffee for a 7.40pm start. Wally Shaw, Anglesey BKA, will give a talk on Beekeeping in New Zealand, based on three recent visits there. This is beekeeping on a big scale, with beekeepers running 800 hives single-handed. How do they do it? ( I struggle with 20 hives). Chasing the manuka, pollinating kiwi fruit, supering / requeening / treating 800 hives. How is it done and what can we learn from their methods? Come to Wally’s talk and find out. Conwy BKA offers you a terrific range of benefits. See here for a list. We have just bought 15 six-frame nucleus hives from Yorkshire Beehives. You will be able to hire them for raising your own nucs. We hope this will encourage members to run a few more colonies. 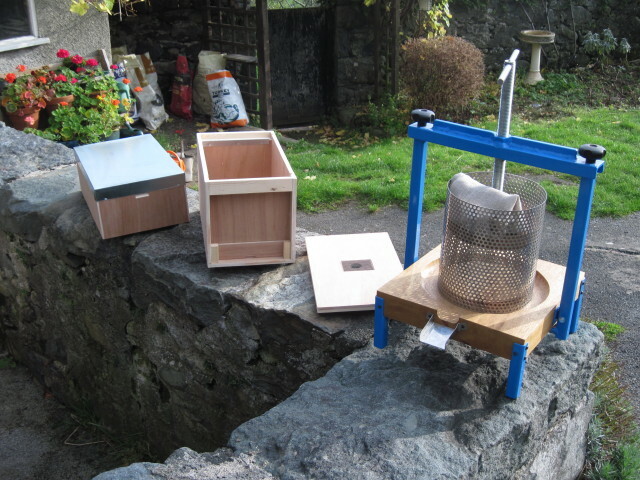 We have also bought a communal Thorne’s heather honey press. Click here to read all about getting heather honey. These purchases were funded by the Conwy Agri-Foods project. Our two communal honey extractor kits have been well-used this summer, with 17 bookings. Many thanks to Hazel Jones for running the scheme. We’d welcome your suggestions on any other new communal facilities. Hope to see you on the 29th. You can be sure of a warm welcome.